This is one of my favorite quilts! 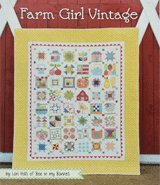 This nine patch quilt is made from a pattern called "The Birthday Quilt" from JJ Stitches in Sun Prairie, Wisconsin. What a cool store if you're into reproductions! There are 1024 nine patch blocks set on point measuring 1-1/2" finished. These alternate with 1-1/2" finished squares of shirtings. There's at least 250 different fabrics in the quilt. The more fabric the merrier. I've found myself being drawn to scrap quilt patterns ever since. There's something about the hunt for fabrics for a quilt that really gets the creative juices flowing, don't you think? This was one of the most fun projects that I have made...only problem is that it was very hard to stop making these mini-blocks when the quilt was finished. Kind of like potato chips...you can't have just one. So after I finished piecing this one, I went straight into piecing my 'Ohmigosh' quilt. It is the perfect "bee" project". The box to contain the pieces was small and neat, the little blocks looking more like pieces of candy than quilt blocks. Fun quilt to make...even better to own! Now if I could only get my girlfriends to post pictures of their Birthday quilts, too...now that would be something to see! Update: These gals have finished their quilts, too! But for this project, this ruler was PERFECT for cutting the strip sets down into one inch units. I found I could stack quite a few of them under the ruler and then slice away. 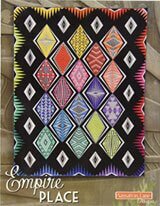 I can't recommend this ruler strongly enough if you plan to make this quilt! PS Sometimes I affectionately call this the "Mattress Pad Quilt". Each nine patch is machine quilted on both diagonals and so are the shirting squares. From the backside it looks like a 'mattress pad'! A ton of quilting. 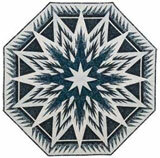 If you enjoyed this quilt, please do let the quilter know by posting your comments. And if you've got one to share, don't be shy, we'd love to see it! My daughter, Teresa and I made the "Birthday Quit" for Julie's 50th birthday. She had described an antique quilt to me that she had seen at a quilt show, wanted to buy it, but it cost $2700. 3 week before her b-day we started to sew. We shuffled squares back and forth between our houses, she cut and pressed, I sewed. We had no idea if what we were doing was what she saw. When we put it on the design board, we did not like it at all. We kept going, hoping it was right. After all the quilting we decided it need to be washed to soften it up. It was still slightly damp as we bagged it and were going to her house. When she opened it, she told us "No one has ever made me a quilt before". It was worth the work. From the Editor: Hi Diane! How nice of you to write! There are a whole lot of us that owe you and Teresa a debt of gratitude for bringing this quilt into being. I had so much fun working on it and so did my bee-mates who made it, too. Can you still purchase this pattern? I went to their website and did not see the pattern there. love this labor of love! I made this quilt but added a piano key border. I couldn't stop making 9 patch squares, so mine ended up pretty large as well. I added a piano key border though, a nice touch. I found the shirtings too busy for my pastels, so I used pale yellow for the alternating blocks. This is my favorite quilt that I've made. How can we see a larger view of your quilts - they look lovely and your description sounds interesting but the pictures are so small it is impossible to be able to see and appreciate your work. Is there a secret to enlarging the pictures? This quilt is beautiful! So many small pieces, so much quilting. I'm not brave enough to try this but I would love to own it. 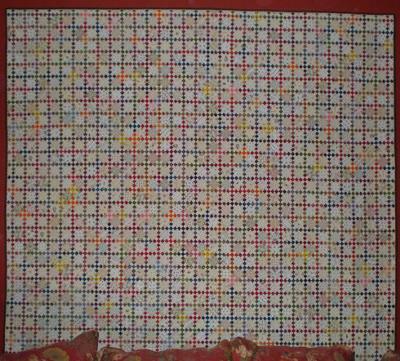 This quilt is just made up of the 1 1/2" 9 patch units and alternating 1 1/2" squares. If you want to visit me at my blog for more information, please drop by. You can contact me via email from that location. 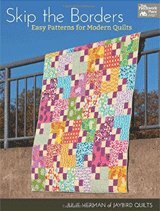 If someone is looking for the Birthday quilt pattern from JJ's Stitches in Sun Prairie and it is no longer available, I would be happy to share my copy. Although you really don't need a pattern - it is very simple, just make your 9 patch units to finish to 1 1/2" - cut your strips at 1" each. I love this quilt but it is difficult to see the detail in the large photo. I would love to see the close up. Also, this pattern does not seem to be available anymore from jj stitches. too bad. it is a wonderful quilt and I would love to make it myself. I really like this pattern. Your finished product is beautiful. Is the pattern still available? My 65th Birthday quilt too! Just discovered you blog & have added it to my favorites! What great fun to find another Birthday Quilt out there and not so far away from Northern Wisconsin. Our guild hosted Julie from JJ's Stitches 2 years ago and I knew this amazing quilt pattern just had to get done in time for my 65th birthday in 2009. My small stitching group (5 of us) decided to go for it and mine was the 1st to be completed...everyone else is thinking maybe - a table mat or small wallhanging now:o) You are so right, it was like eating potato chips. Your Oh MY Gosh quilt is stunning - thank you so much for sharing. Hope you can visit my Birthday quilt too. It is archived in my September posts - "2009 Quilt Show - Part I" - count down to the 23rd quilt and there it is. Have a good day and thank you for sharing. To all of you that have posted such fun comments on this page, I thank you. You can't imagine how much fun it is to get notice from this website that someone has made a comment, and it's always a compliment. A nice warm fuzzy to get during the day. Lynn...to answer your question...I was working on another quilt with little itty-bitty pieces right after this Birthday Quilt...full of teeny-weeny nine patches and four patches on point. It's called "My Oh My Gosh Quilt". Once you settle into a rhythm these simple blocks with little pieces are just plain fun to make. Actually, you get kind of hooked. Another added benefit is that because the pieces are so small, there's a lot of seam allowance behind each patchwork piece and you can use up a lot of miscellaneous fabric stash. Again, thank you ladies, for all your posts! PS I urge to to post your quilts too! Getting such nice comments makes it really fun! I love this quilt! what are you doing next??? Oh my this is an incredible quilt! Great job! wow, that is amazing! I love quilts like this that showcase a lot of work, time, and dedication to completing something big. Really nice quilt. I can not imagine making all those blocks and then setting them on point. Beautiful Quilt. Thanks for participating in the Blogger's Quilt Festival. That is one amazing quilt. Amazing that you stayed with it and it is stunning. Yowza! That is an immense job--enough to last for all the birthdays in a lifetime or two! What a beautiful quilt. Thanks for sharing your quilt's story. i have never seen a quilt with so many pieces. i am soooo impressed it is stunning. 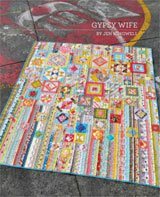 I love love love scrap quilts, and yours is amazing. What a great project. !! Astonishing amount of work! Oh my that is amazing! A Birthday Quilt Bonanza...will a little help from my quilting friends! Cathy, you saw it! Now will you post a picture of yours too? I'd make a whole section just on Birthday Quilts if I could, but my friends need to post their pictures! Hey, hey!! My birthday quilt IS finished too! ;) I will never tire of looking at birthday quilts. You might need a birthday quilt section if your bee-mates all post theirs!